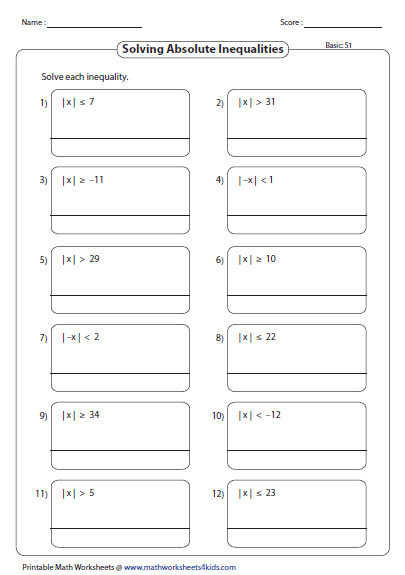 There are 45 absolute value inequalities worksheets in this page. Convert each absolute value inequalities into two simple linear inequalities and solve the problems. 'No solution' cases also included. Students must be careful about extraneous solutions. 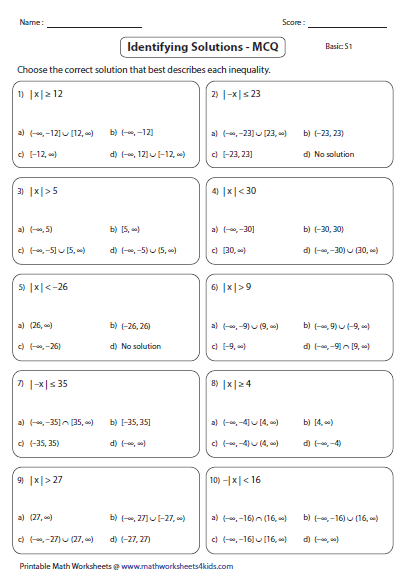 Solving absolute value inequalities worksheets contain 12 problems in basic types and 10 problems in both one-step and two-step. 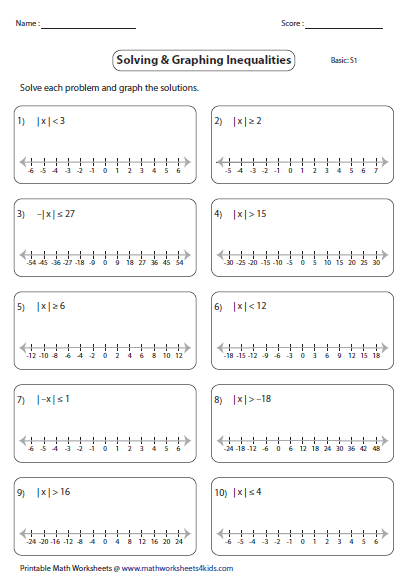 Best practice worksheets that reinforce the knowledge in solving and graphing absolute value inequalities. 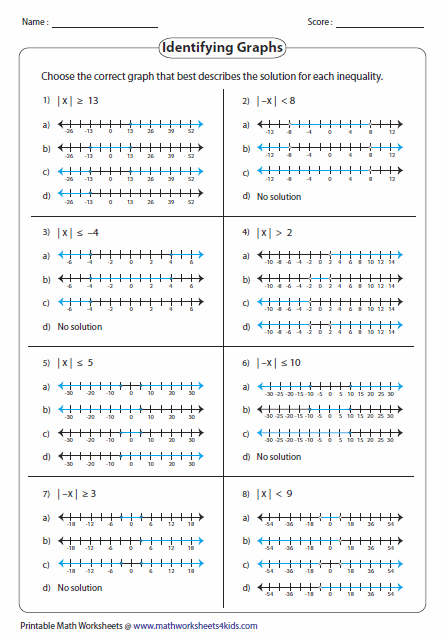 Solve each absolute value inequality and find the correct graph that best describes the solution. The question type is based on multiple choices. Solve and find the correct solution. 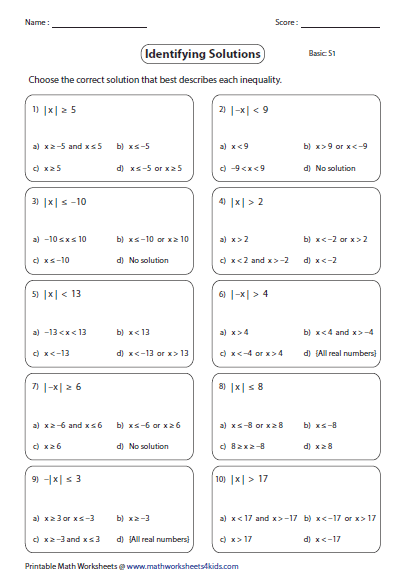 The worksheets contain multiple choices based on solving inequalities with solutions in interval notation.